Hashima is a small rocky island, situated near the coast of Nagasaki in Japan. Although tiny in size, the island is not unimportant, being Japan's main coal supplier for almost a century. 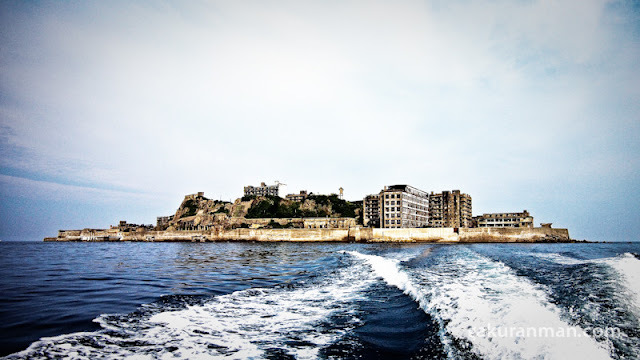 Located above a huge coal deposit, which extends to the ocean, Hashima itself was an excellent opportunity to make a fortune, this opportunity couldn't be missed. After the island was discovered, it was taken over by Japanese Mitsubishi Corporation, which were to transform Hashima island into a glorious land. 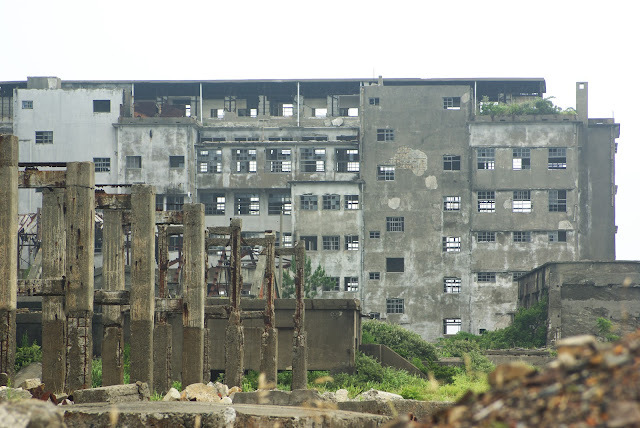 The corporation preferred to build houses for the workers directly on the island, rather than invest into their daily transportation to Nagasaki. Because space was limited, house building relied on height, and families who worked on the island lived in small, crowded apartments, with shared kitchens and bathrooms. Later other facilities essential in developing a micro-city were built: theaters, medical offices, restaurants and bars. 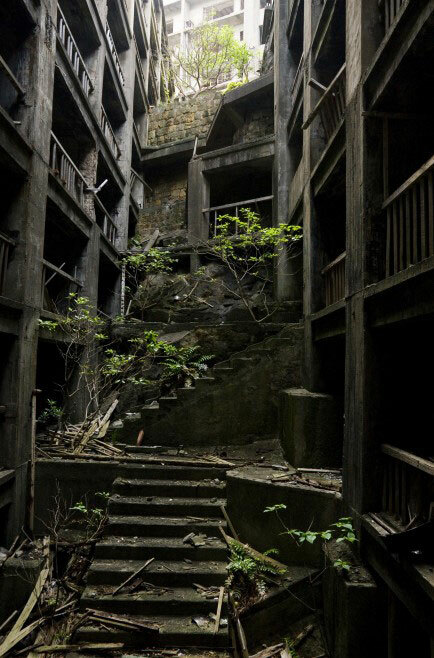 The entire complex was connected via underground tunnels. 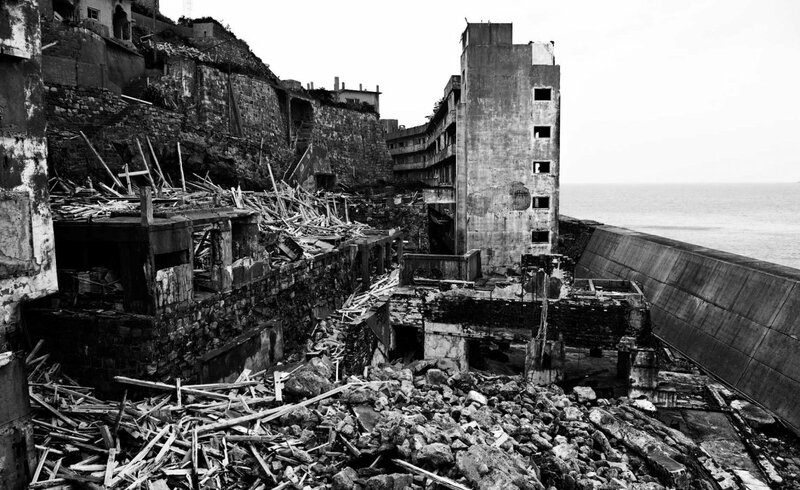 The peak would be reached in 1959, when Hashima island became the most densely populated city in the world with 5259 inhabitants. 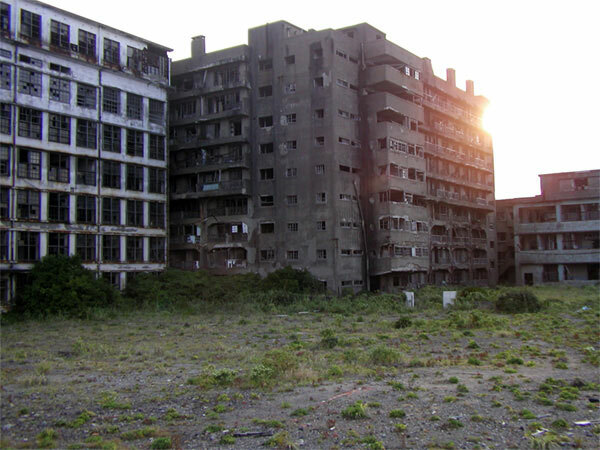 This record translates to 835 people over an area less than one square kilometer. 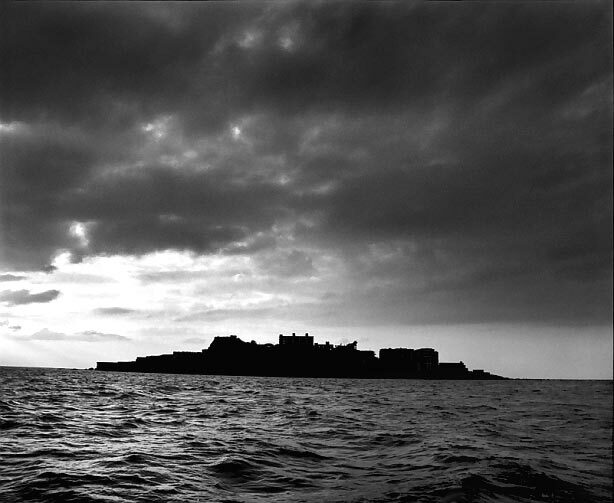 It's hard to imagine why people were willing to live on the island in these conditions. But not everyone got here willingly. 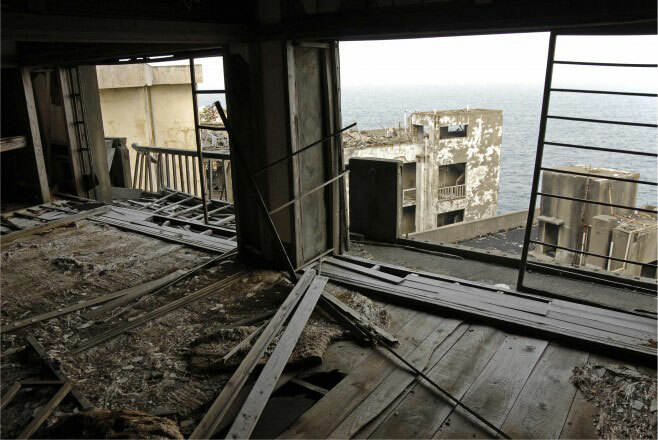 During World War II, the Japanese government forced migration of Chinese and Korean workers on the island. Many of them did not get to return to their native regions, being caught in underground traps. The end of World War II brought better living conditions for the residents of Hashima. 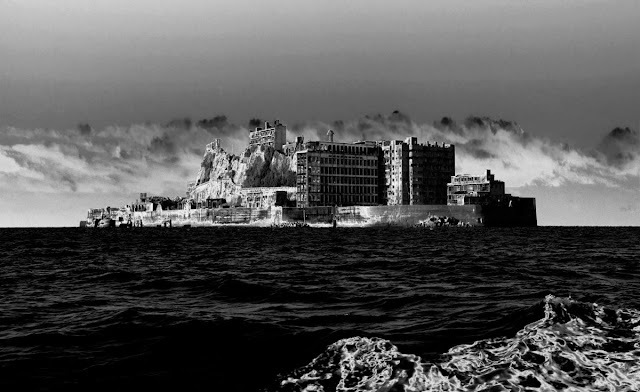 Cable, radios and modern cinema halls appeared to sweeten the life of it's residents. The island, which was once devoid of vegetation, was brought back to life with planting gardens on the roofs of buildings. 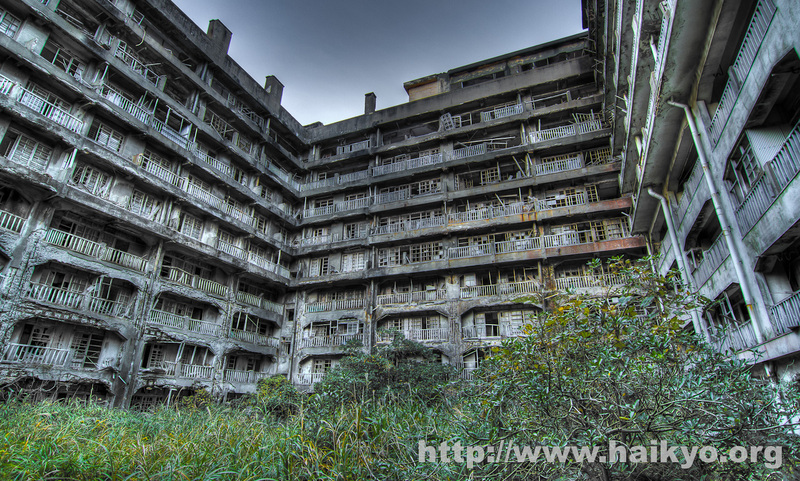 However, the heyday of Hashima was pretty short. In early 1974, coal exploitation declines. The whole world now prefers oil as the primary source of energy. Mitsubishi leaders have made their decision to close down the mine public. 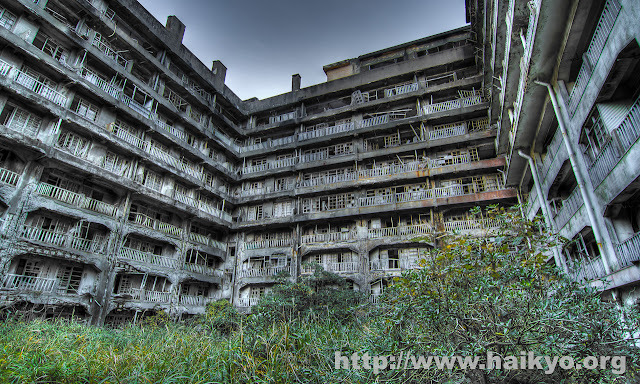 One year later, the last inhabitant was leaving Hashima, so the island was completely shut down. 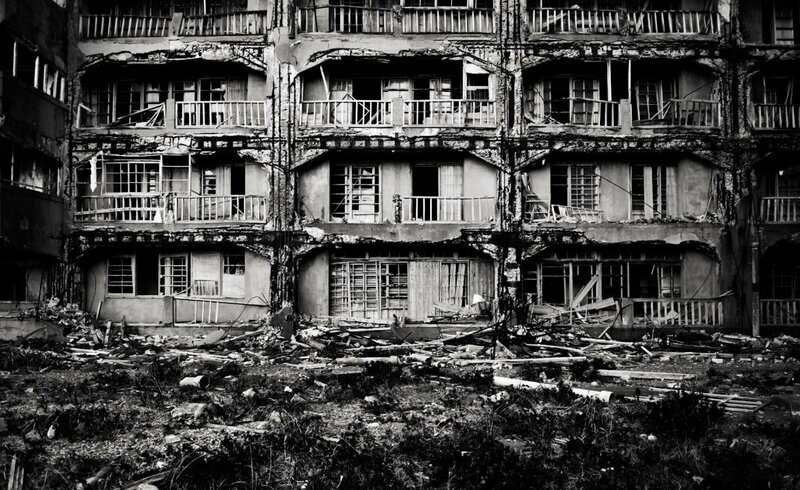 It was now a ghost town, and only relics of what once was the most densely populated city were left behind. The medical clinic still holds an X-ray unit and an examination chair, here and there you can find broken and abandoned toys in the corners of the equally abandoned apartments. Tunnels that connected the city are still accessible, but now decorated with graffiti. 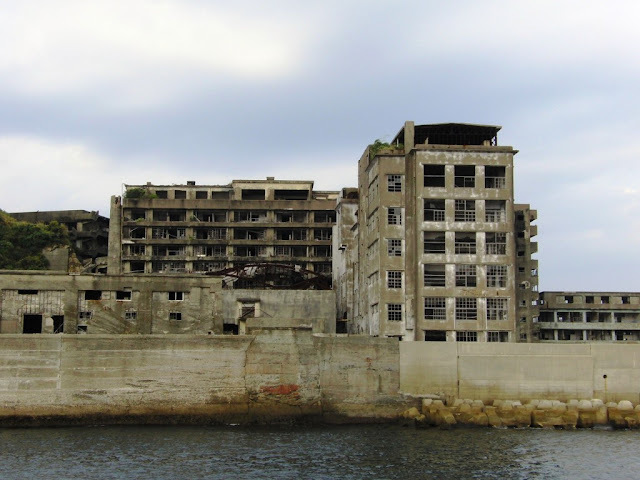 Despite the already long abandonment, Hashima managed to keep itself pretty well preserved. 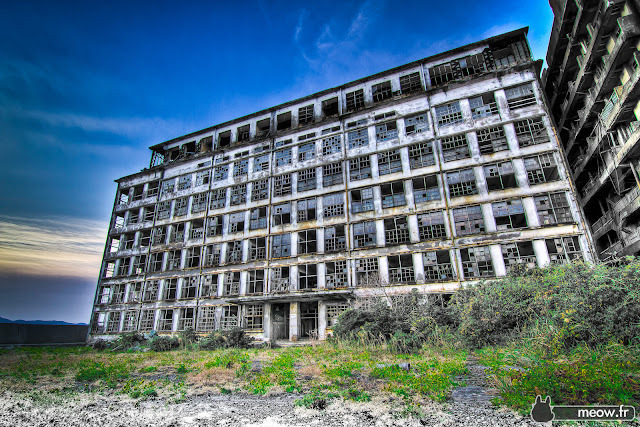 And who knows ... maybe with Japanese officials proposing it to be introduced in the exclusive list of UNESCO World Heritage Site, it will remain preserved for a long time from now. Wow this is really an interesting place. Would be awesome if I could visit it one day. 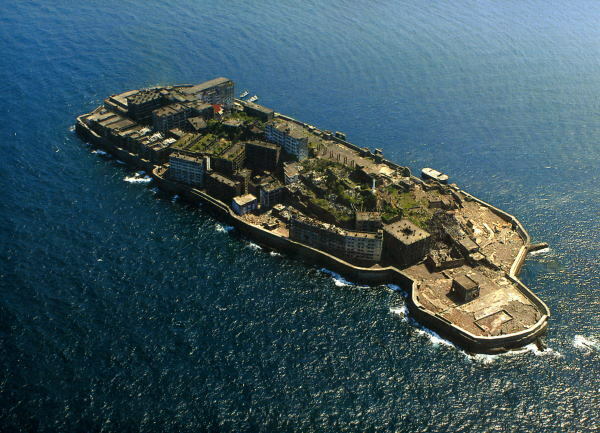 The Battleship Island! It is open for tours. I took boat there last summer and walked around the island!! That sounds awesome! How much does a tour cost? 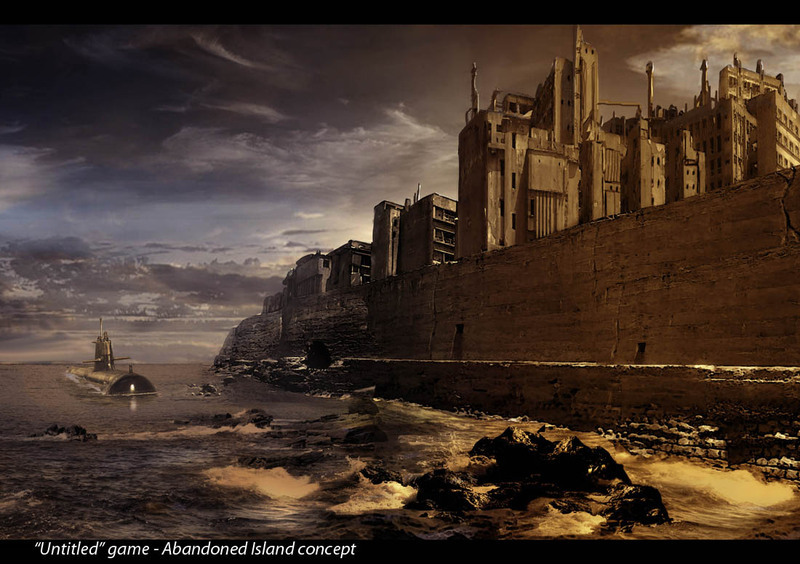 This place looks really amazing. 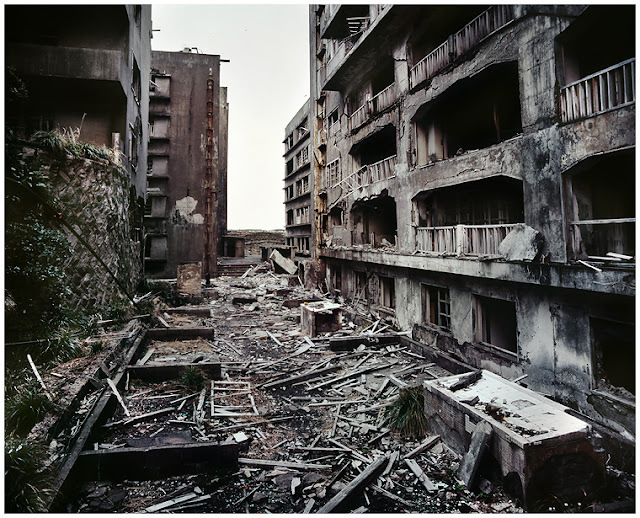 I'd actually love to live there (provided it was in good condition). I don't know why but yeah.